Homeocare international is a world-class premium Homeopathic clinic that is committed to provide advanced homeopathic treatment to patients. The clinic uses world class techniques, and latest treatment procedures to provide effective treatment for diseases without any side effects. The clinic provides the best treatment for hormone related diseases like Hypothyroidism, Menstrual irregularities and Diabetes Mellitus. Star Homeopathy is a chain of super homeopathy clinic established by a group of highly qualified doctors. The clinic has 35 years of personal experience to provide world-class solutions in healthcare. Star Homeopathy provides best solutions for various kinds of problems such as Dandruff, hair loss, Gastric and sexual problems. Positive homeopathy is one of leading homeopathy clinics in India that provides treatment for all treatments. Till date, the clinic has served many patients and achieved more than 90% success rate. The clinic offers best treatment for various kinds of problems such as Diabetes mellitus, hyperthyroidism, migraine, asthma and psoriasis. Established in 1982, today Dr.Batra’s has recognized globally as a top homeopathy clinic in Hyderabad. Starting from acne to warts, Dr.Batra’s can provide the quality treatment for every problem. The clinic also treats other conditions such as common cold, depression, allergic rhinitis and various other problems. 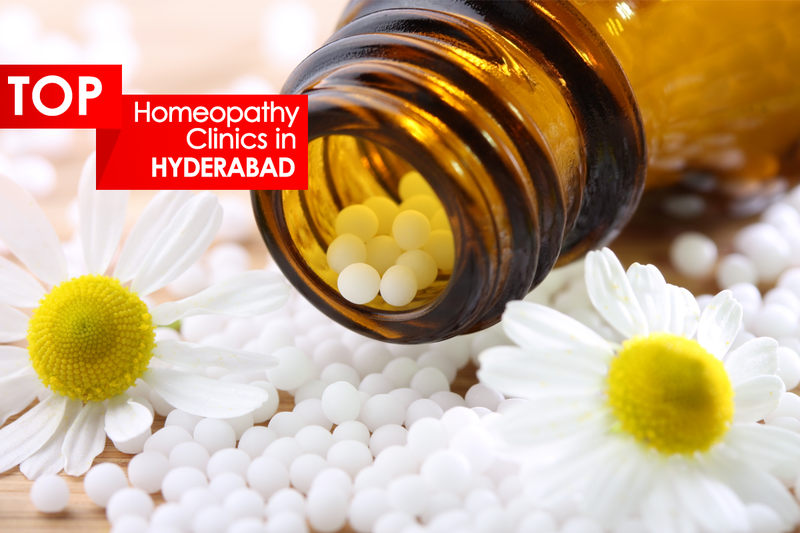 Founded by a group of highly qualified healthcare practitioners, Anvis Homeopathy has rolled out as a popular homeopathy clinic in Hyderabad. Equipped with latest medical diagnostic equipment and clinical knowledge, the clinic provides world-class homeopathic solutions for various problems. The clinic treats all chronic diseases efficiently and cares for the patient’s comfort. Spiritual Homeopathy provides specialized and expertise care for all kind of chronic and acute disease. The best part about the clinic is it provides treatment for all patients by considering various factors such as mental makeup, Aversions, Generals, mental ability. The clinic provides gentle and permanent cure for various problems without any side effects. Dr. Chetan Raj has started the clinic with the motto of service to humanity and has become successful homeopath . Holding a double PG in homeopathy and psychotherapy, he ia an expert at treating a range of diseases including diabetes, infertility, thyroid and arthritis to life threatening ones like cancer, TB and asthma. Right from hair loss to skin problems, allergy to child problems, Vira’s homeopathy provides good solutions for all kind of problems without any side effects. The clinic not only provides comprehensive treatment but also creates awareness about health, illness, diet regimen and personal hygiene. It also treats deficiency disorders and assures happiness to all patients. Sparsh Multispeciality Homeopathic Clinic provides better solutions for all acute and chronic diseases. With 10 years of experience and around 90% of success rate in treating various diseases like Hair loss, Skin Problems like Pimples, Acute and Chronic Eczema, Urticaria and Warts, we provide good solutions for all problems. We also deal with stress related problems including anxiety and depression disorders.